NEW YORK -- Mayor Michael Bloomberg announced Tuesday the launch of a website mapping Internet startups in New York City that are hiring. Speaking at Internet Week New York in SoHo, Bloomberg unveiled the Made in NY Digital Map as he touted the city's fast-growing technology industry for providing New York with a vital economic boost. "Nearly 500 new technology companies have launched in our city since 2007," creating more than 10,000 jobs, said Bloomberg, citing a study released last week by the Center for an Urban Future, a New York-based think tank. The study, funded by the Association for a Better New York and AT&T New York, concluded that New York City has the fastest-growing tech industry in the nation and that it now trails only Silicon Valley as America's most active breeding ground for new tech companies. Yet despite the growing number of tech jobs, the city's unemployment rate continues to rise this year and now hovers 1.7 percent above the national average, according to the Bureau of Labor Statistics. Jonathan Bowles, director of the Center for an Urban Future and co-author of the center's study, joined the mayor on stage Tuesday afternoon. Talking to The Huffington Post after the event, Bowles said part of the reason New York's tech boom is having a limited effect on the city's overall unemployment is that recent hires at startups have tended to be people who relocated to the city or who left jobs in other local industries, such as finance, fashion and media. He noted that half the 103 employees at the startup Tumblr had moved to New York from elsewhere. The one problem is that when companies hire outside the city, locals -- in this case, those who lack the digital skills in demand -- may get left behind. "The fact that [New York startup] companies are having to go around the country and around the world to find talent tells you that it has a lot more to do with our public school system and our universities. We have great engineering schools. We just don't have enough of them," said Bloomberg, whose administration has partnered with Cornell University and the Technion to put an applied sciences campus on Roosevelt Island soon. Still, the mood at Tuesday's gathering was largely optimistic as attendees celebrated New York's evolution into a hub for people who want to start or join technology firms. "It's adding an important layer of diversity to New York's economy," Bowles said. "We've always attracted people in finance and artists, but now we're attracting a lot of technologists and engineers." According to Bowles, at least 28 startups launched in New York in the last five years were founded by people from Harvard Business School. 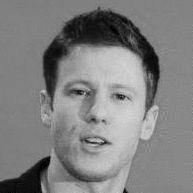 "Before 2007, if you had people coming out of HBS to New York, they were invariably going to Wall Street. If they were going to build a company, they did it in Boston or Silicon Valley," he said. New York now has 52,900 people working in the information technology sector, up 28.7 percent from 2007, according to Census Bureau data. Jobs in industries for which the city is historically known -- finance and publishing -- have declined by 5.9 percent and 15.8 percent, respectively, over the same period. "The message is loud and clear," Rachel Sterne, the city's chief digital officer, told the audience Tuesday. "If you are a graduating engineer, developer or designer at a university and thinking about where you should go to get a job or launch a company, look no further. It's truly clear, based on the strength of this ecosystem, that New York City is absolutely the right place to be." Sterne added that it's about time New York shed its "Silicon Alley" nickname, often used to describe the cluster of tech companies extending from the city's Flatiron District down to SoHo and TriBeca. "What this map shows is that a better term is New York City," said Sterne. "We've got MakerBot in downtown Brooklyn, Etsy in DUMBO, Songza in Long Island City. It's no longer just one area." 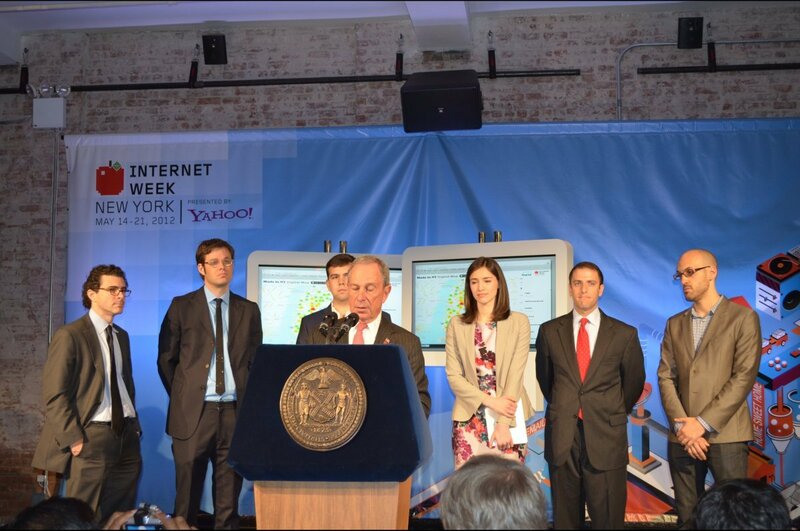 New York Mayor Michael Bloomberg at a May 15, 2012 event announcing the city's new "<a href="http://mappedinny.com/" target="_hplink">Made In NY Digital Map</a>," which allows users to browse and share job openings at Internet startups around the city.